Rick Bragg is the author of a trilogy of bestselling books on the people of the American South. He is a professor of writing at the University of Alabama. [Jerry Lee Lewis] is quite simply one of the best books about rock and roll ever...Rick Bragg has turned it into literature, fitting in somewhere between William Faulkner and Jim Thompson. Lewis has found the ideal biographer in Alabaman Rick Bragg, an author and former New York Times writer who understands the texture and cadence of Lewis’ life that started in Concordia Parish in eastern Louisiana near the Mississippi River. “I loved every amphetamine-laced, whiskey-soaked, gun-shot page of it. 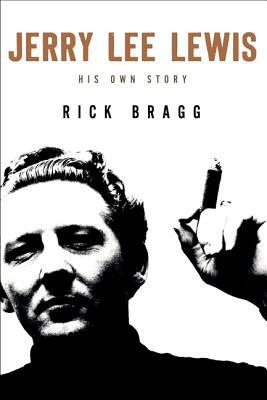 “An epic life deserves an epic narrative, and Pulitzer Prize winner Bragg delivers such with this major work on rock and roll pioneer Jerry Lee Lewis.